Here at Kingsfield we have been breeding and exhibiting dogs for over 40 years. With a passion for breeds that are still considered RARE BREEDS, we take great pride in our German Spitz, owning and exhibiting the No. 1 German Spitz in UKC for 2009, 2010, and 2012 !!! 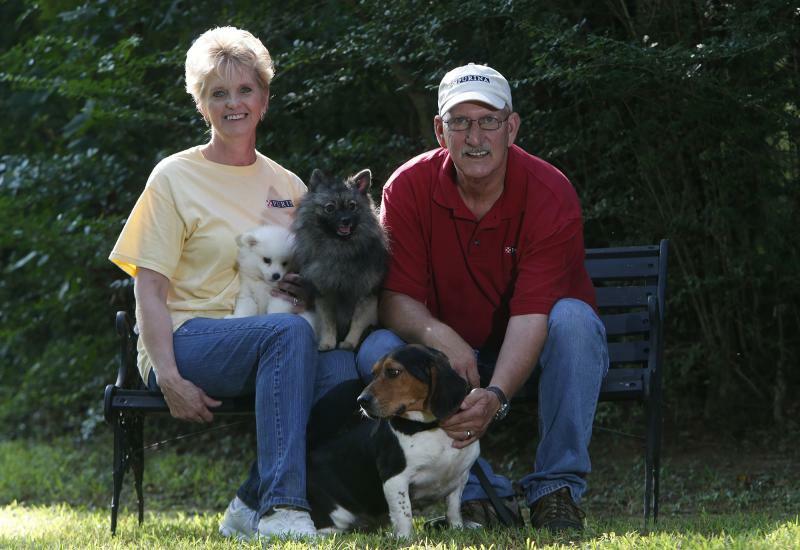 as well as our original breeds, Beagles and the American Eskimo. Our very limited breeding program is done with the goal of perfection in appearance, health and temperment. All of our pups are raised as part of our family, well socialized, and are health guaranteed for 1 year. We were also "Spotlighted" in the October, 2013 issue of Nestle Purina's Today's Breeder ﻿ magazine and would be delighted if you get a chance to read that. On this website, we hope you enjoy seeing pictures of our dogs, their stories, and our plans for the future. 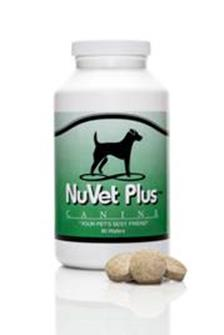 NuVet is not available in stores, but you can order it online HERE! Although not every year produces a champion, over the past several years we've made the following accomplishments with our dogs as indicated below. "Oh, what a fabulous year this was !!" After several years of sucessfully breeding and showing American Eskimos in both UKC and AKC, the decision was made to expand into the more colorful German Spitz breed. 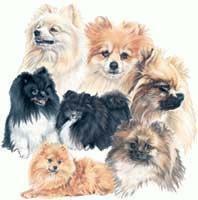 Our German Spitz were bred from imported dogs and are registered with the UKC (United Kennel Club) and also with the AKC-FSS (American Kennel Club - Foundation Stock Services). With the goal of developing this breed here in the United States we have had fabulous years from 2009 up until the present time. Our American Eskimos are AKC and UKC registered and we show in both those formats as well as the NAKC (North American Kennel Club, or sometimes known as Rarities). 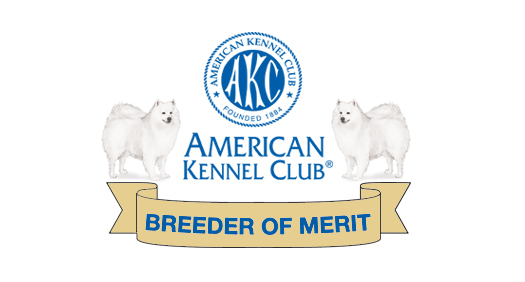 Being recognized as an "AKC Breeder of Merit"
Because these breeds are so delightfully unique, we invite you to explore the breed characteristics of each and ask as many questions as you'd like.